It’s been a while since I last posted due to an unofficial blogging break to watch the world cup. I’m a big world cup fan; I kept working, but but some other things got put on hold as I made sure to fit my schedule around the important games. What’s the point of being your own boss if you don’t organize your schedule around the world’s biggest sporting event? 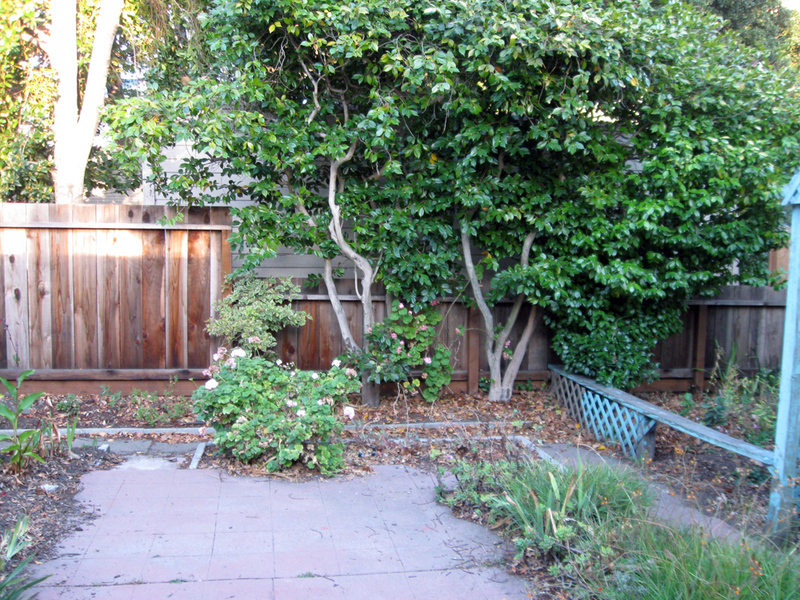 Despite watching a lot of soccer, I finished a few projects, including a new path, patio, and seat wall for this Berkeley backyard. 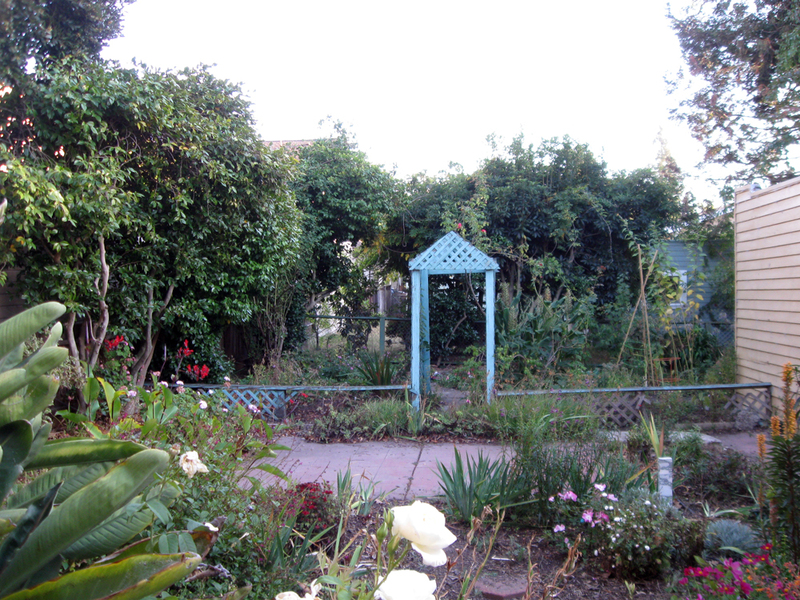 The garden is intended to be an eclectic Berkeley-style garden. 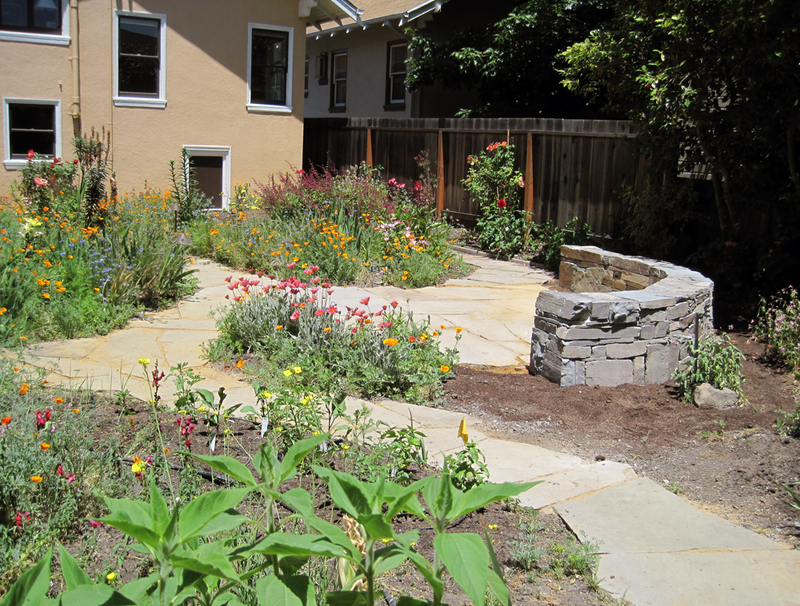 The owner has lived here for a couple of years and he had already created a lovely little planting in the front yard, but his backyard needed large-scale changes. 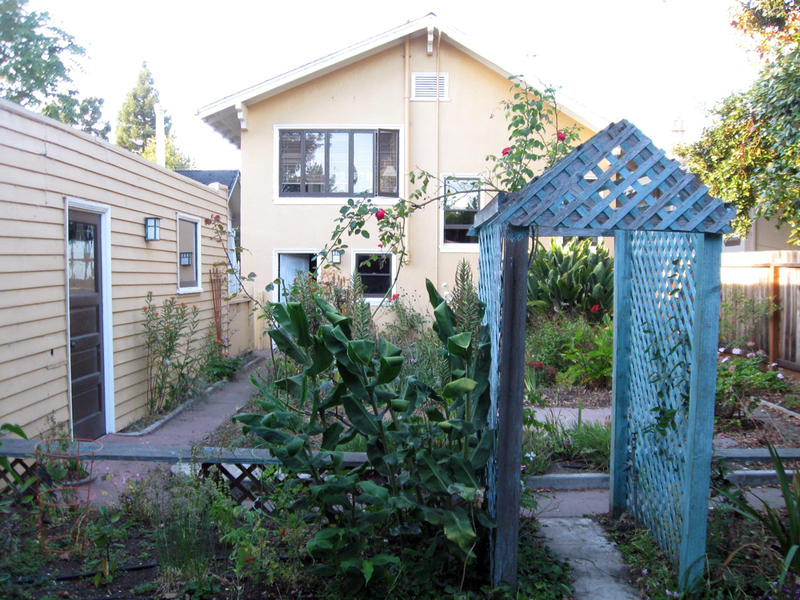 The previous owner had left behind a few interesting plants, but the layout of the space — with a pink concrete patio, narrow concrete paths, cramped planting beds, and a weird turquoise trellis structure cutting the space in half — was severely limiting. 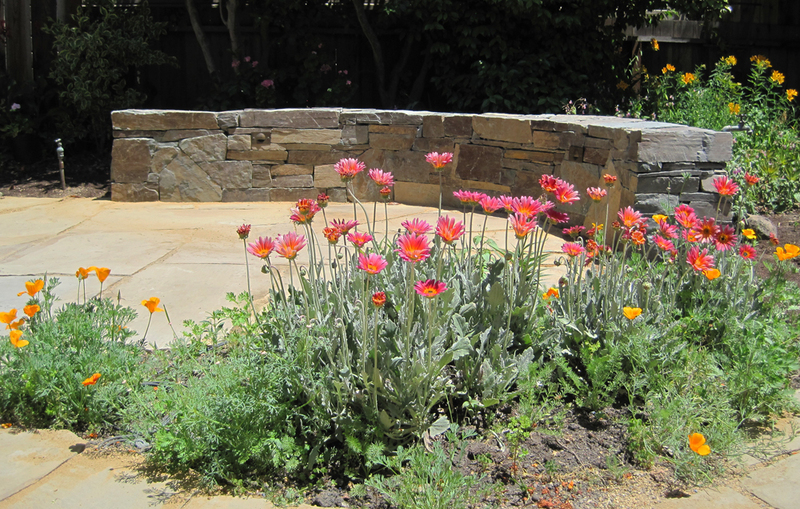 The garden improved as soon as we took out the concrete and moved the existing plants around, even before adding the flagstone and the seatwall. 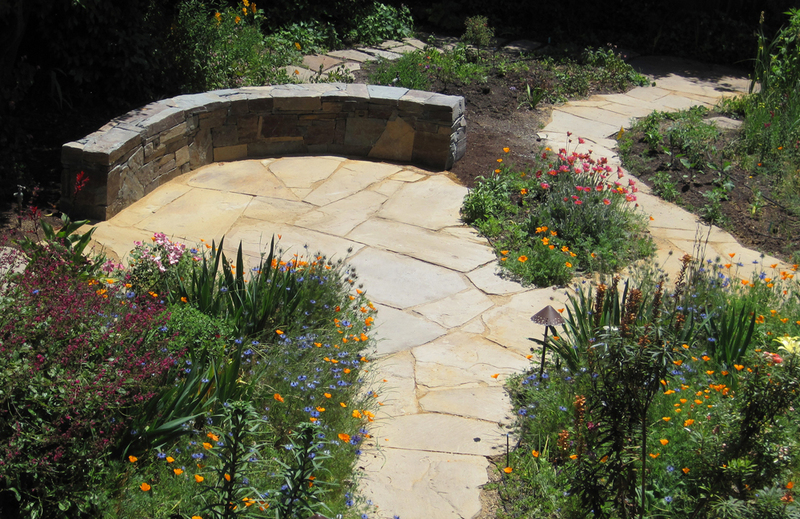 The paths and patios are built with a sandstone called Mahogany Red. 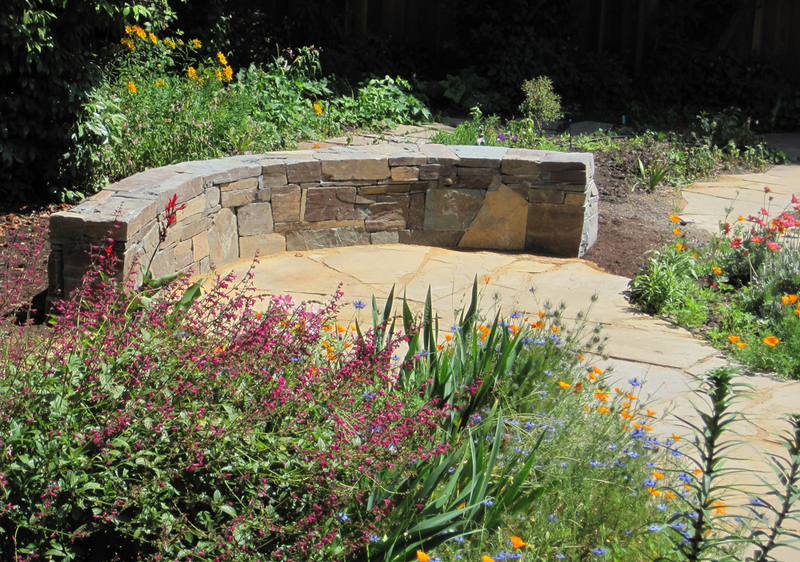 The seatwall is a slate-y stone called Cabernet. I’ve built with it a number of times, but this batch turned out to be trickier than usual, with few right angles and a lot of cracked pieces. Only one stoneyard in the Bay Area carries it, so I had to just do the best with what I could find. The client didn’t want a conventional capstone or a visible mortar joint. Personally, I don’t have anything against a visible mortar joint, but our clients never seem to want one. He took it as a compliment when a neighbor asked if the wall was mortarless. The owner is doing all of the plantings himself. He’s very enthusiastic, with an eclectic taste in plants, and he started adding things before I even finished the stonework. I’d never heard of a couple of the plants he bought and I liked all the ones I did know, so it’s going to be fun to go back to see how it all fills in. This entry was posted on Monday, July 21st, 2014 at 7:33 am and is filed under stone, walls. You can follow any responses to this entry through the RSS 2.0 feed. You can leave a response, or trackback from your own site. Oh, very cool. I’m thinking I’d like to do more with stone in the garden, but right now we’re planning to replace the pergola, and that’s where wood is the better choice. Loved the World Cup! Was about time Germany won again!